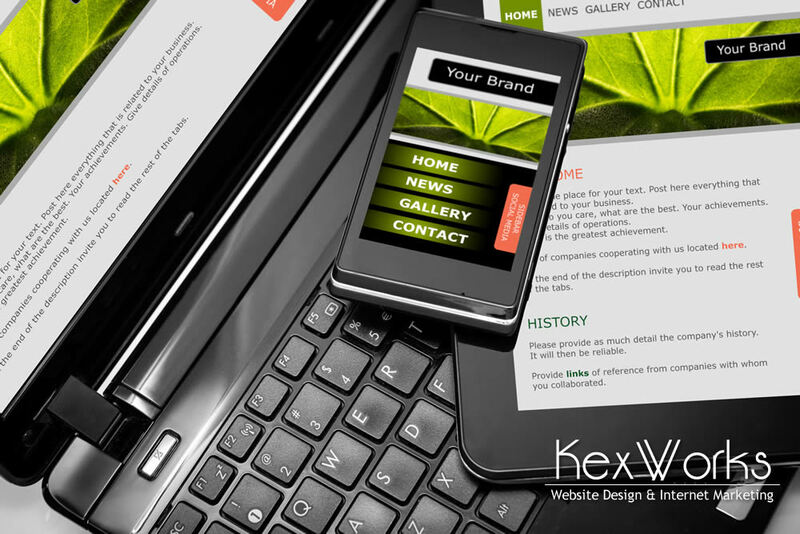 KexWorks | Why Is Responsive Design So Important? 22 Jun Why Is Responsive Design So Important? The old adage that you shouldn’t keep all your eggs in one basket applies to Internet design as well. If you look at the Internet usage stats, you’ll see that 80% of people use a smartphone. You’ll also see that 57% use multiple devices, which means that, as far as the design of your website goes, it would make sense to ensure that it can be easily viewed on multiple types of devices. And that’s where responsive design comes in. Responsive design might sound like one of those vague buzzwords the online world is full of. However, it’s a simple principle of design that allows one website to adapt easily to any size of the screen. Using responsive design to create a website means that people who visit that website will have an equally good experience regardless of the device they’re using to visit it. And if you’re still not convinced that responsive design is something you should implement as soon as possible, here a couple of reasons that will drive the point home. The rise of mobile usage shouldn’t catch you by surprise. It’s been going on for a while now, and as things stand now, more Google searches are happening on the smartphones than on computers. That means that your website is more likely to be found by someone using a smartphone than a desktop computer. More than one in four off all Internet users use their smartphones exclusively, compared to roughly one in seven Internet users who use desktops exclusively. Simply put, mobile devices are more popular than stationary devices when it comes to surfing the web. Google, the world’s most prominent search engine turned tech giant, is in the business of giving its users what they need. But even if you forget for a moment that Google wants you to use responsive design because it benefits Google’s users, they still have a couple of reasons to push for responsive design. Having a single version of a website instead of mobile- and desktop-optimized versions make it easier for Google’s crawlers, the little bots that index website, to do their job. Having a single website that fits all screen sizes also makes common online practices such as sharing much easier, which is another thing that Google feels strongly about. Improper website design increases bounce rates, which in turn affect how websites rank when a search is performed on different devices. No matter who much they want to buy your products, use your services, or sign up for your newsletter, if they can’t do it with a reasonable amount of effort in a reasonable amount of time, they’ll look elsewhere for what they need. Simply put, you want to make it as easy as possible for visitors to perform the action you want them to. Visiting a desktop-first website on a mobile device might make it too difficult to do it – it can mess with website navigation, the letters can be too small to read, and even simple things like pressing buttons can become too complicated to be worth the effort. If you have a website that works well regardless of the device, users will be able to easily do whatever they want to do on your website, including shopping and signing up for a newsletter. People access social media on the go using their mobile devices. At the same time, social media is an important part of any online marketing strategy. You want people to be able to find you using social media, and you want to be able to interact with them. But once they follow the link to your website that you’ve posted on your business’ Facebook page, will they be able to see your website as they should? If you’re using responsive design, the answer is yes. In you aren’t, it’s no. If you don’t want to implement responsive design but you still want a piece of the mobile cake, you will have to create two versions of your website – one for mobile, and another for desktop. This effectively doubles the work you have to do to maintain the websites. It will cost you more money and take up more of your time. On the other hand, your visitors will appreciate the fact that your website can be easily viewed and navigated on multiple devices. They will have a better experience when visiting your website, and you want your potential clients and customers to have a good experience. Your business depends on it. If you’re still not sure that responsive design is the right thing for your website, you can do one simple thing – visit the website of your competitors. Most of them are probably using it, and you want to catch up with them. You also want to be better than those who are still avoiding responsive design. The reality is – responsive design is the only way to stay competitive in today’s online ecosystem. And that’s the only reason you should need.